Adina Portaru is a Legal Counsel in Brussels for ADF International, a Vienna-headquartered organisation that advocates for the right of people to freely live out their faith. On 14 December, the European Parliament adopted the Annual Report on human rights and democracy in the world and the European Union’s policy on the matter in 2015. In keeping with the European Union’s commitment to fundamental human rights, Members of the European Parliament stressed the need to protect freedom of religion worldwide. The Annual Report brings a new dimension to the standard call for respect for human rights. The evidence is irrefutable and requires the international community to act. Just recently news broke about an ISIS suicide bombing at a Cairo church, leaving 24 Coptic Christians dead, Christian pastors facing death penalty in Sudan, and ISIS boasting of committing genocide in Syria and Iraq. 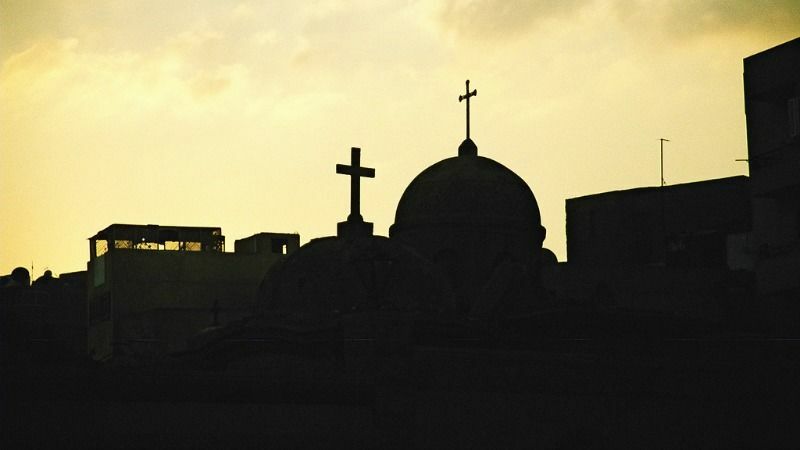 Christian communities that have lived in the Middle East for 2,000 years are now on the verge of extinction. In Syria the number of Christians has dropped from over 2 million to under a million and in Iraq from 1.4 million to under 260,000 in just a few years. What we are witnessing is the end of Christianity in the Middle East before our very eyes. With the recognition of Christians as the most persecuted religious group worldwide comes the question: what can be done to protect and safeguard the rights of Christians and to secure justice for the victims? Two things should follow: firstly, the prosecution of the perpetrators of genocide at the International Criminal Court, and secondly the strengthening of the mandate of the EU Special Envoy for the Promotion of Freedom of Religion or Belief outside the European Union. With regards to international prosecution, the European Parliament should follow up on its Resolution of 4 February 2016, and call on the UN Security Council to support a referral to the International Criminal Court to investigate ISIS crimes in Syria and Iraq. If this fails because of a lack of political will of UN Security Council permanent members (which is the case presently), the International Criminal Court should nonetheless prosecute European foreign fighters engaged in the atrocities. The Court has jurisdiction over the European perpetrators fighting with ISIS. Most of those are nationals of countries which signed the Rome Statute establishing the International Criminal Court, for example, Germany, France, and the UK. The number of European foreign fighters is estimated to be upwards of 5,000 in the Middle East. National governments must cooperate with the International Criminal Court to ensure that evidence of crimes committed is preserved, catalogued, and used against the perpetrators. The European Parliament has actually called for the establishment of a group of experts tasked with gathering evidence regarding the genocide against religious and ethnic minorities. If implemented, this group might prove instrumental in bringing the perpetrators to justice. In addition, the mandate of the EU Special Envoy for the Promotion of Freedom of Religion or Belief outside the European Union should be strengthened. This position was created on 6 May 2016, when the President of the European Commission appointed former Commissioner Jan Figel, for a mandate of one year. In the first part of his mandate, Jan Figel has devoted attention to the rising persecution of religious minorities. This has helped in raising international awareness about the plight of Yazidis, Christians, and others in the Middle East. The mandate of the EU Special Envoy should therefore not only be renewed but given increased visibility, political power, budget, and supporting staff. A meagrely staffed office, as it currently stands, will hinder the Envoy in his response to what the EU has rightly concluded is a growing and significant threat. The overall message the Annual Report conveys is clear: member states and the EU as a whole need to do more to seek justice for the victims of religious persecution and prosecute the perpetrators. The international community must act with urgency to end the genocide in the Middle East, and to protect Christians and other persecuted religious groups worldwide.